EXCLUSIVE! 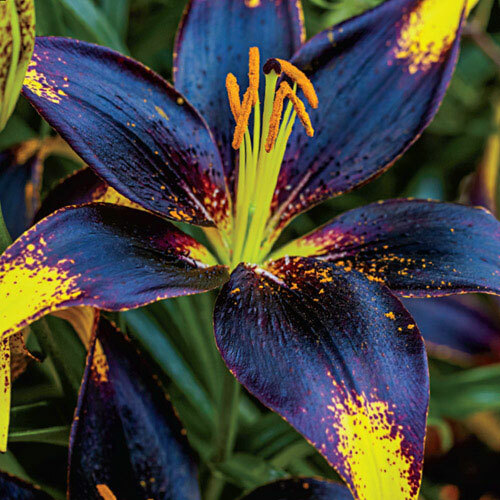 These beautifully colored lilies are almost black in the middle with a yellow-tipped edge. Perfect for cut flowers but also a good choice for naturalizing areas and cottage gardens. Prefers well-drained soil but will tolerate heavier soil; mulch is beneficial to keep soil moist and cool. 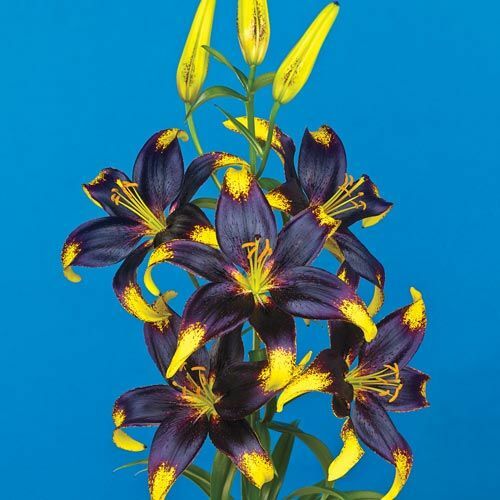 Plant 4-6" deep; lily bulbs develop roots along the stem just above the bulb. Leave bulbs in the ground for increased beauty in following years. Foliage TypeNarrow, lance-shaped leaves 3 - 4" long, green. Winter CareProvide a layer of much for winter protection. 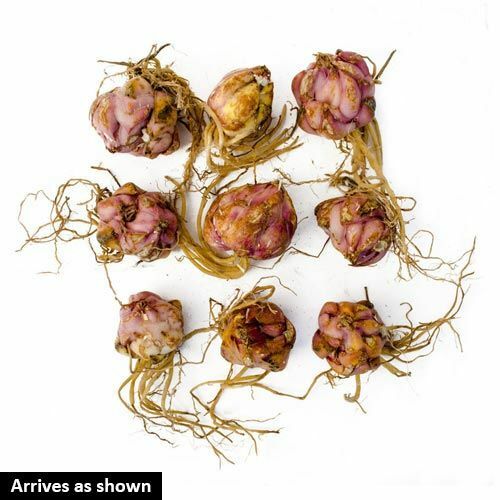 Planting InstructionsPlant 4 - 6" deep because lily bulbs develop roots along the stem just above the bulb. Mulch is beneficial to keep soil moist and cool.